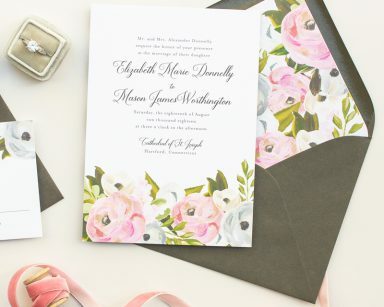 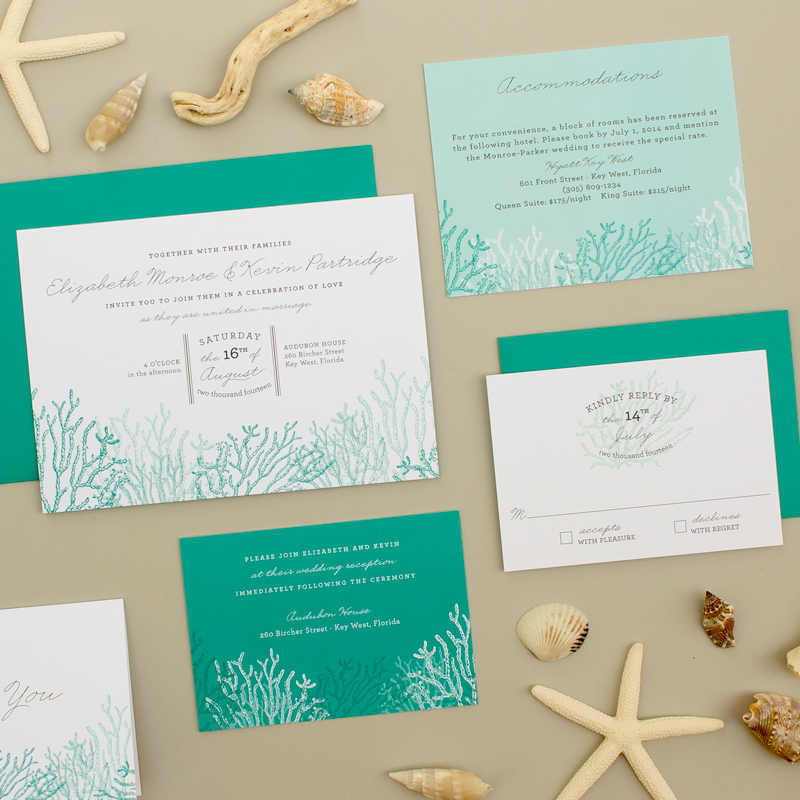 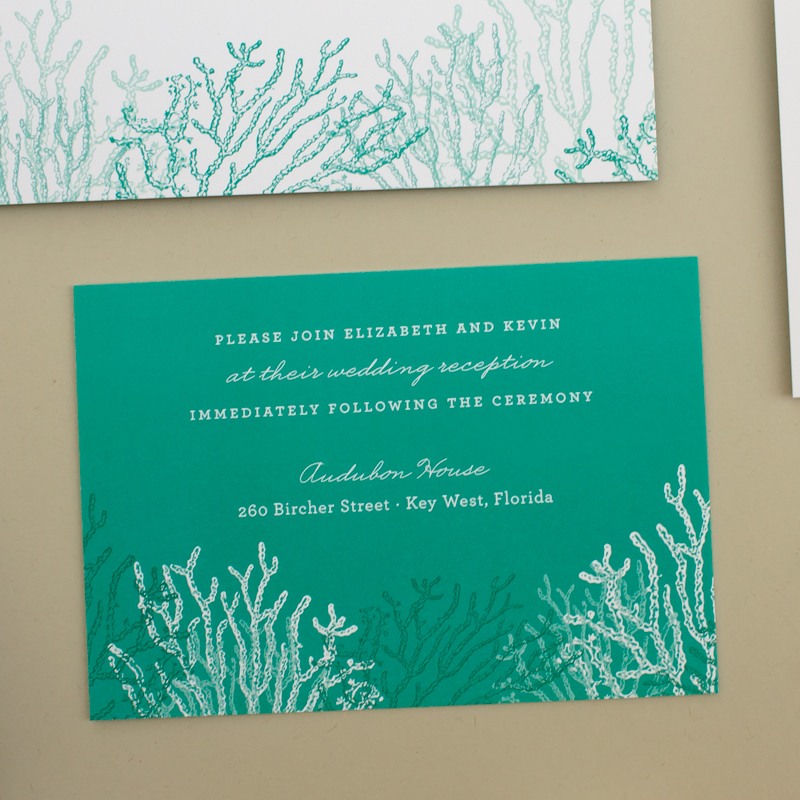 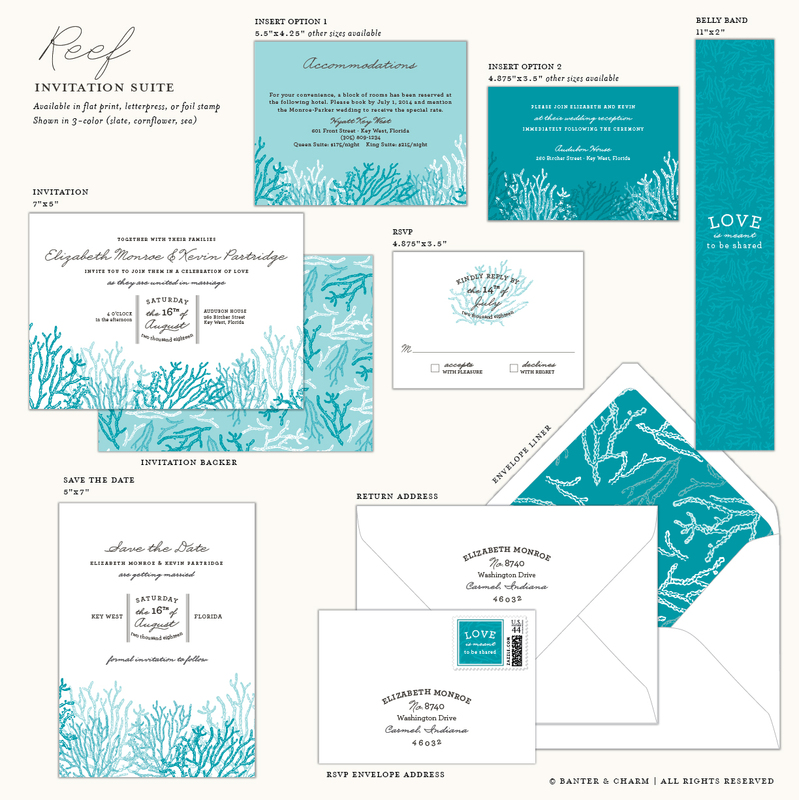 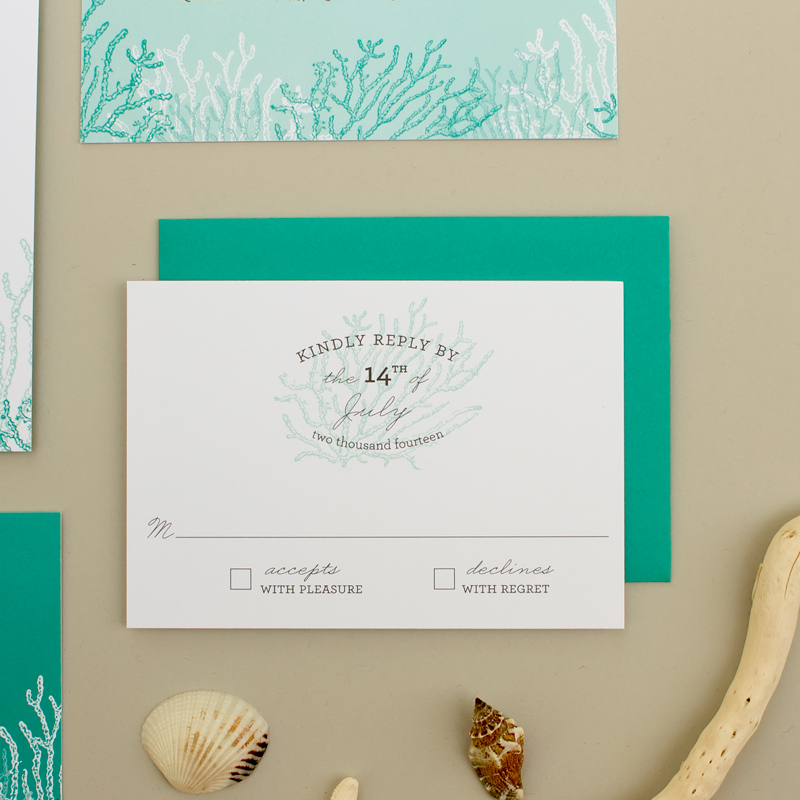 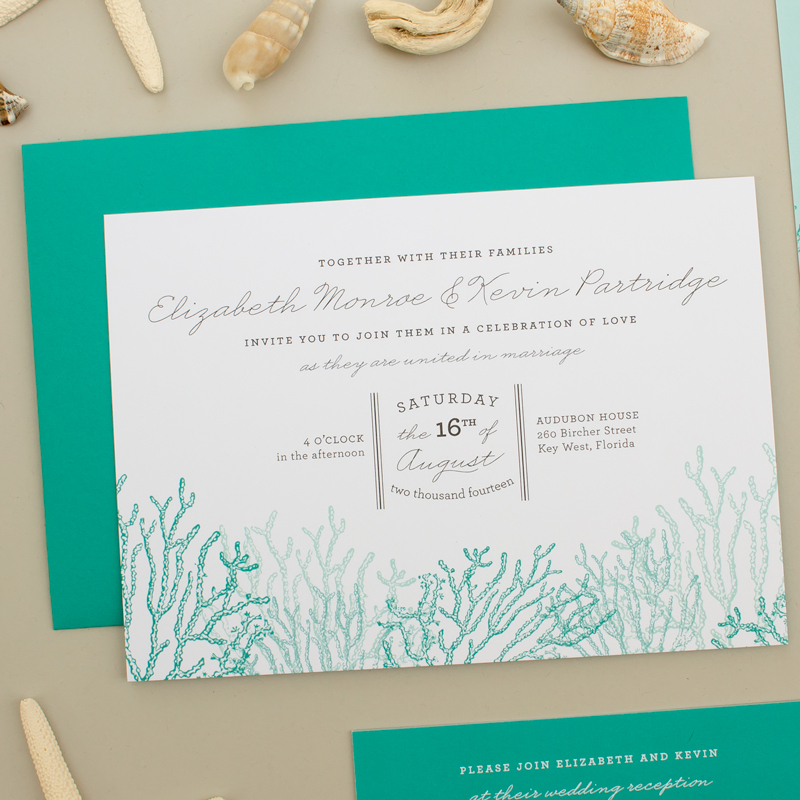 This beach wedding invitation suite brings to mind the sea, with coral in shades of blue and casual typography. 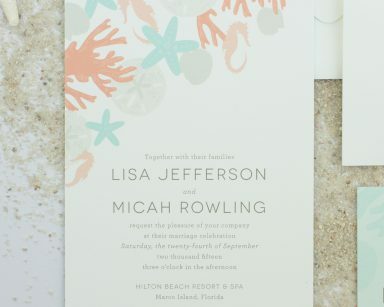 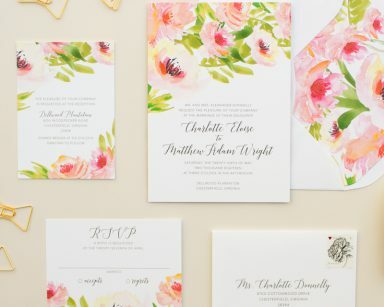 Perfect for a destination wedding at the beach. 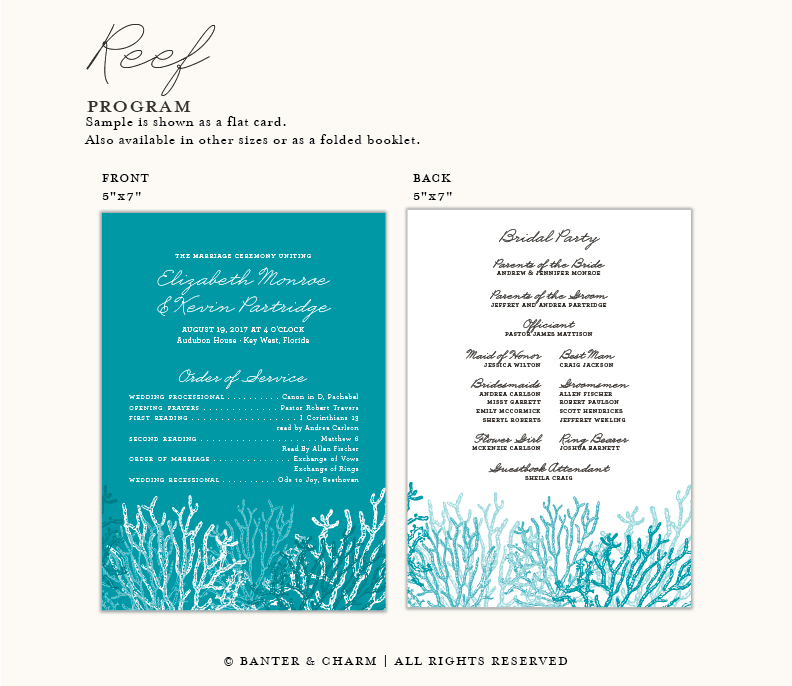 See this design in letterpress.